A 25-year-old man has been arrested by the Gombe State Police Command for allegedly killing a university professor. The professor was, until his death, a lecturer with the Federal University, Kashere, Gombe State, and was the boss of the suspect. 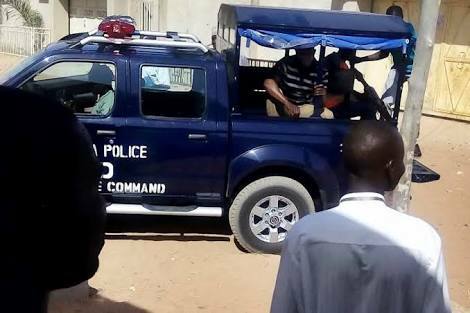 The Police Public Relations Officer in Gombe State, Obed Malum, disclosed this on Friday while parading the suspect before newsmen at the Police Headquarters in Gombe, the capital. She said the deceased was alleged to have been robbed and killed while his car, an unspecified amount of cash, two phones and other valuables were taken away by the suspect. She stated, “Consequent upon the receipt of the sad, bewildering and disturbing report, the Deputy Commissioner in charge of the Department of Criminal Investigation led a team of detectives to visit and review the scene of the crime. “Thereafter, the Commissioner of Police immediately constituted a team of professional detectives headed by an Assistant Commissioner of Police to unravel the motive behind the crime, trail and arrest the perpetrators within the shortest possible time.